After a day of great fun, we all got up with an early start around 7:00 a.m to start packing up all our things to go home, we then all made our way down to have breakfast and head out for another great day! 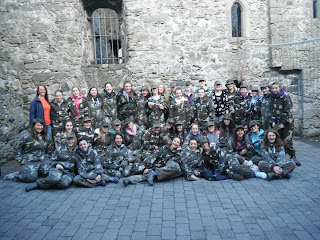 In the morning, we all treked up the hill (singing away) to take part in the 'Carlingford challenge', we divided ourselves up into seperate teams and battled it out to try and gain more 'gems' than the other teams by completing the different challenges! Our team worked really well together and we came joined-first along with another team! Afterwards, we headed off to 'laser combat', we were split up into teams and we worked together to try and beat the other team. We all got a bit mucky from lying on the forest floor taking cover from the other team's shots but i though it was so much fun and everyone had a great time! 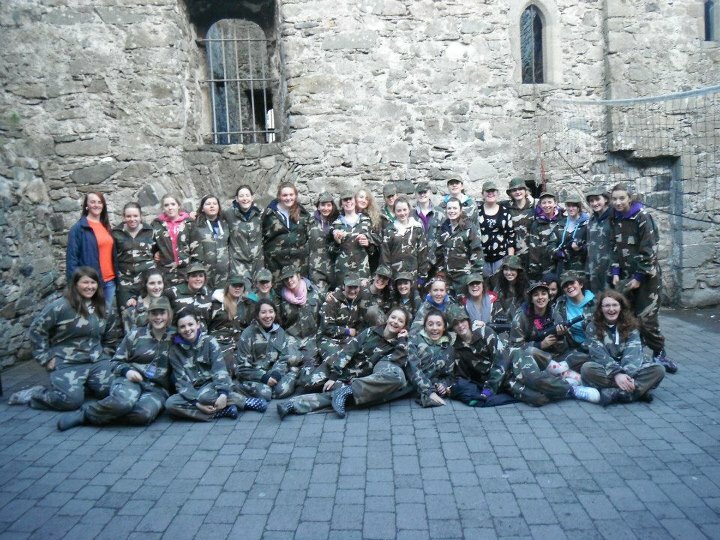 Ready to take on the 'Laser Combat'!